How do ZZap Point of Sale Safes work? ZZap POS safes provide the best security for your excess cash, cheques and other high value paper items. POS safes reduce the risk of robbery and internal theft at the point of sale. They are a small investment that could save you a lot of money in the future. Lets take a look at how they work. Simply drop one or more banknotes into the slot then press the handle downward. The action of pressing the handle downward pushes a spring-loaded plate backwards, which then allows the inserted banknote to enter the storage compartment. 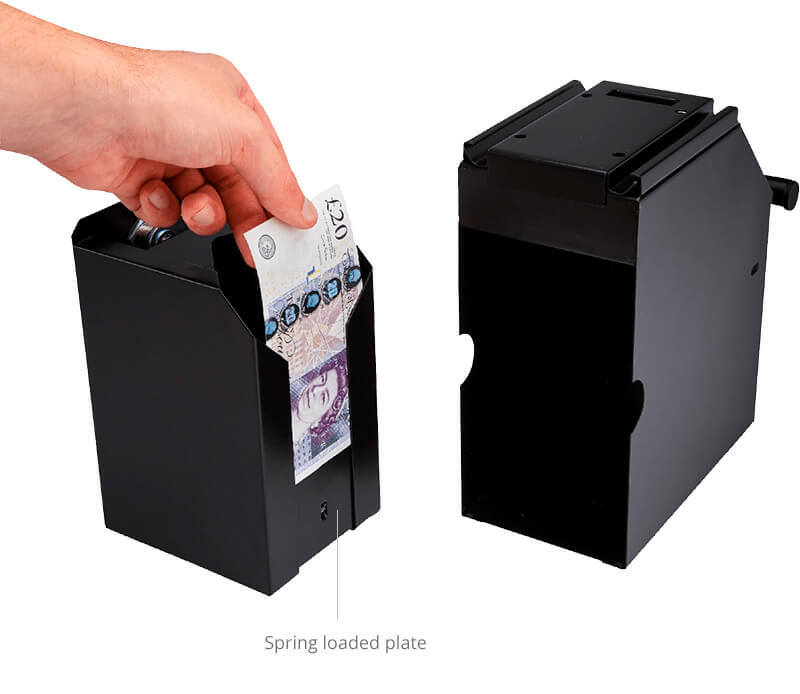 The spring-loaded plate retracts accordingly as more banknotes are put in the compartment. To access the banknotes, the storage compartment has to be opened using the key. Once opened, the storage compartment can be pulled out from the safe. The banknotes can then be pulled out from the compartment. 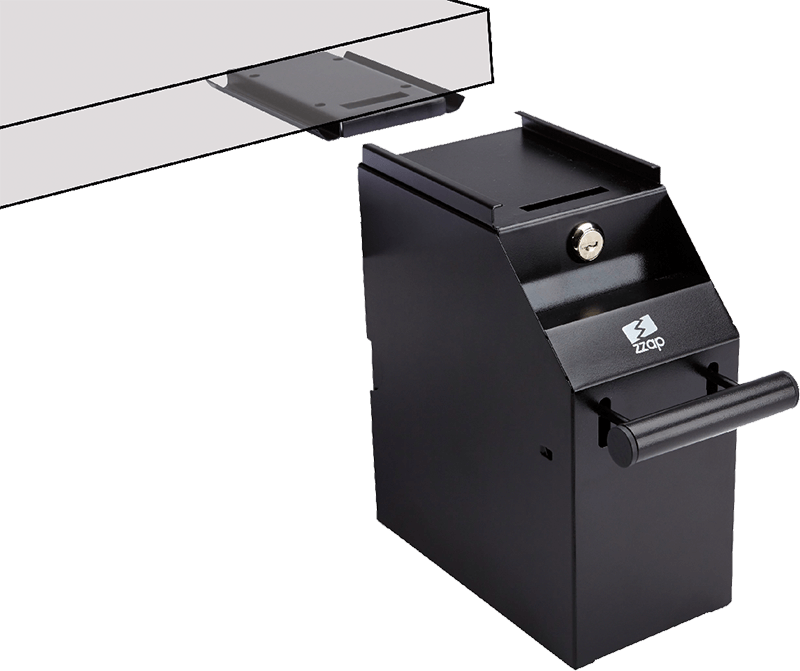 Over-counter POS safes such as the ZZap S20 can be securely mounted to the top of a fixed surface. The bottom of the safe incorporates small bolt holes at each corner allowing the safe to be mounted using the enclosed nuts and bolts. Once mounted, the safe cannot be moved, neither can it be opened without the key. 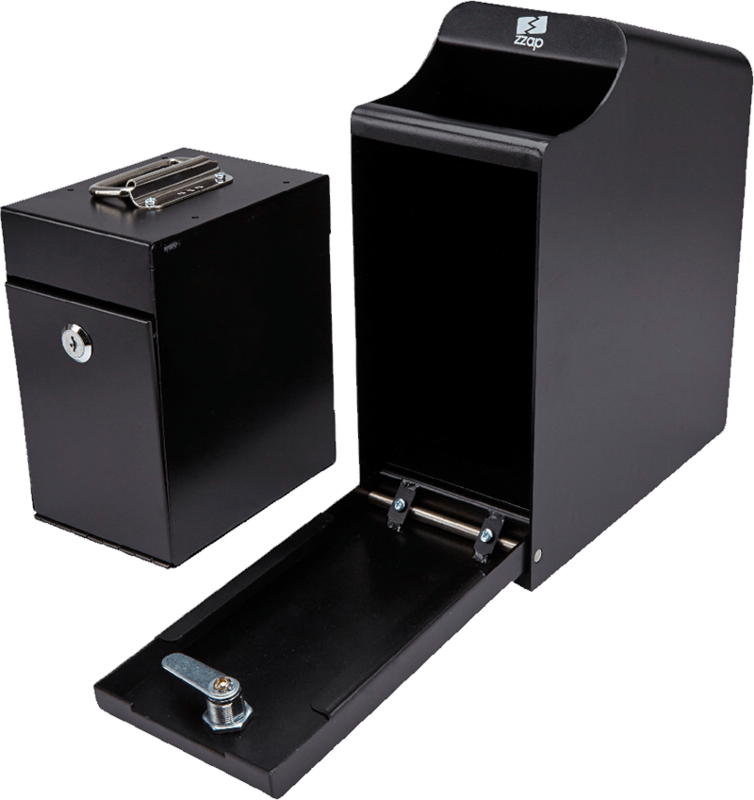 Under-counter POS safes such as the ZZap S10 can be securely mounted to the underside of a fixed surface. The removal bracket at the top of the safe incorporates small screw holes at each corner. 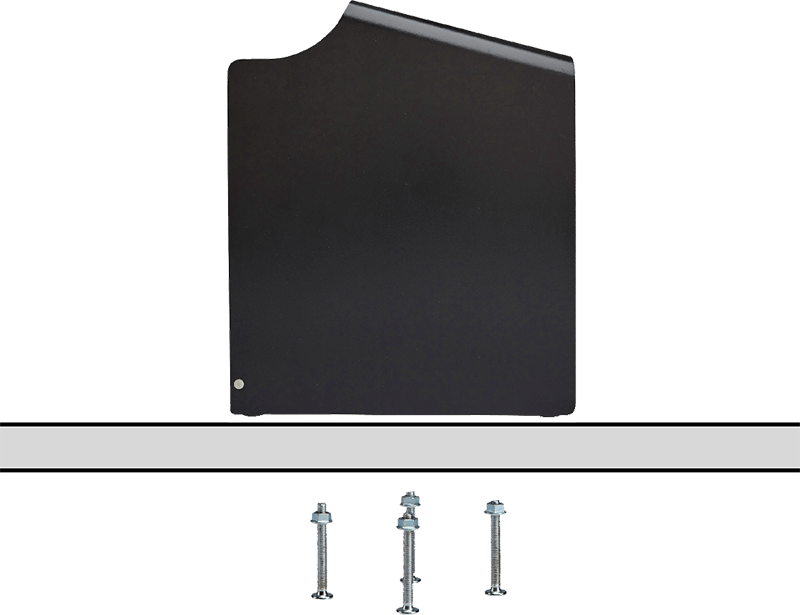 The bracket can be affixed to the underside of a rigid surface (typically a countertop) using the enclosed screws. The safe can then be slid into the bracket and locked into place using the key.